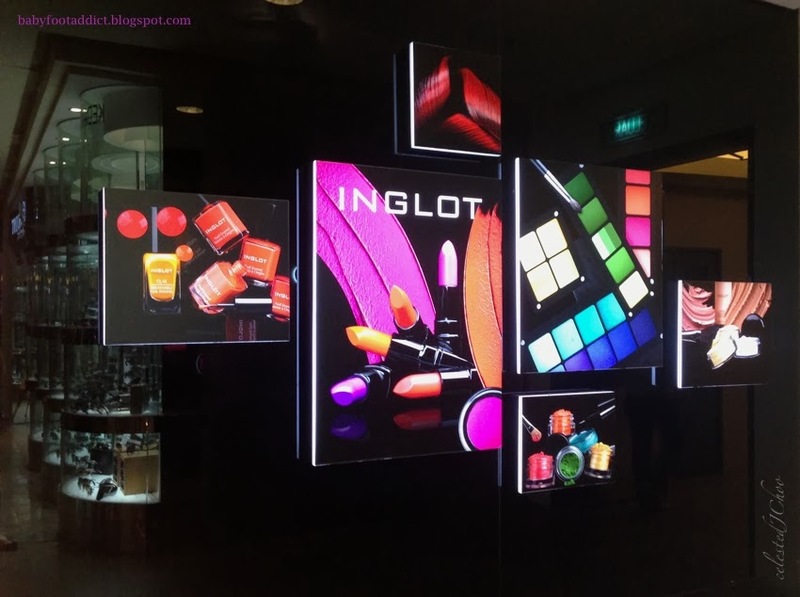 I still remember the first time I was captivated by an Inglot shop. 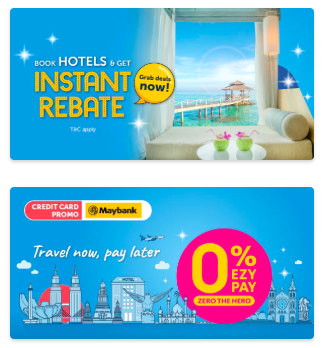 It was at Sunway Pyramid in 2011. That was the first time I saw the brand and I didn’t even know how the name was supposed to be pronounced. Is it ‘eeeng-lot’? Is it ‘eeeng-lohw’? Is it ‘eeeng-laht’? Well, it’s pronounced ‘eeeng-lot’. Inglot cosmetics was founded by Polish cosmetics maker Wojciech Inglot, who unfortunately died at the age of 57 in February this year. 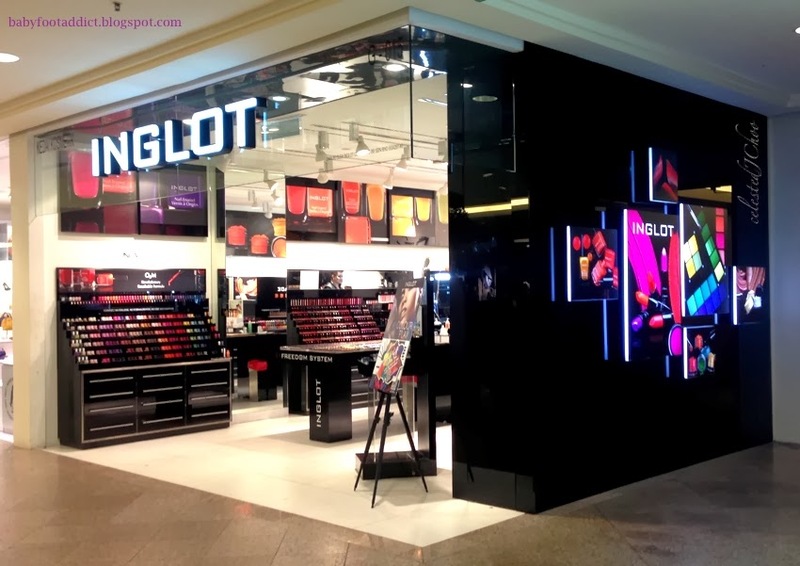 There’s something about Inglot boutiques that just captures attention. First, the shop design is simple yet it really makes colors stand out and pop to your eyes. The fixtures are in shiny, solid black against cream white walls and floors, making colors sparkle against it. The graphics also use solid black background that also makes colors gleam deliciously everywhere in the store. 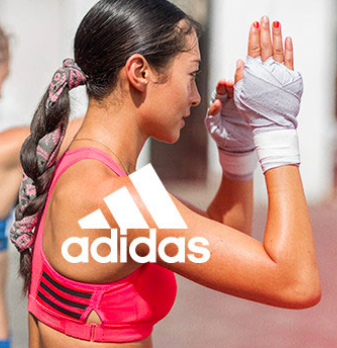 Creative and effective graphic and interior design is undeniably a great tandem for this brand. The first Inglot item I bought was a 2-piece eye shadow palette. I was so fascinated with the Freedom System that allows you to pick and mix the colors you want in your set. It’s such an enlightening thrill to pick the colors you like and create your own eye shadow set. 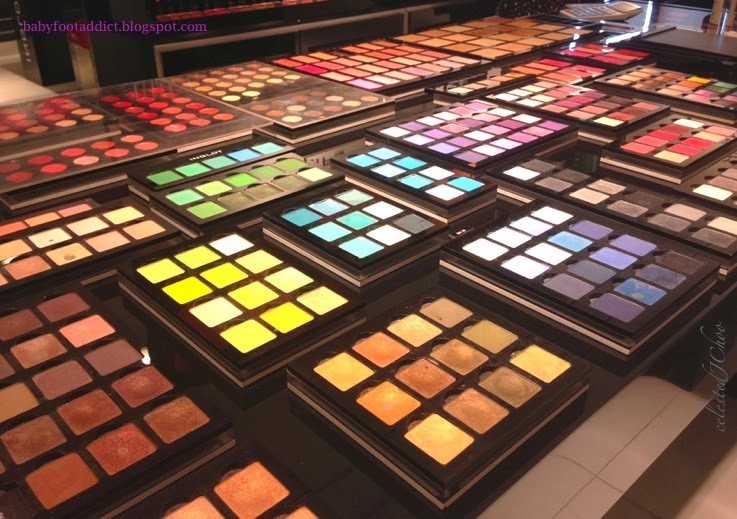 Aren’t you tired of having those eye shadow palettes in your vanity kit and end up having 1 or 2 colors that you barely use? Inglot’s freedom system totally eliminates that waste of money. With their vast range of colors, it’s easy for anyone to pick colors based on their preferences. You can choose 1, 2, 4, 5 squares in whatever color you want. 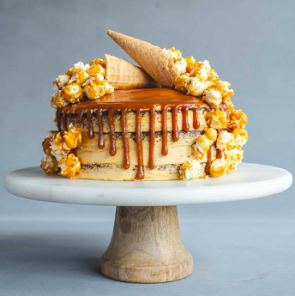 Look at these delicious colors! The Freedom system is also applicable for blushes, lip color and pressed powder. This is great for both makeup artists and those who simply love makeup. A few days ago, I wanted to buy a new nail polish color and while walking along the brightly lit hallway of Mid Valley Megamall, which is still my favorite shopping mall since I arrived in Malaysia, Inglot once again caught my eye. And who wouldn’t be caught by this luscious display of nail color? 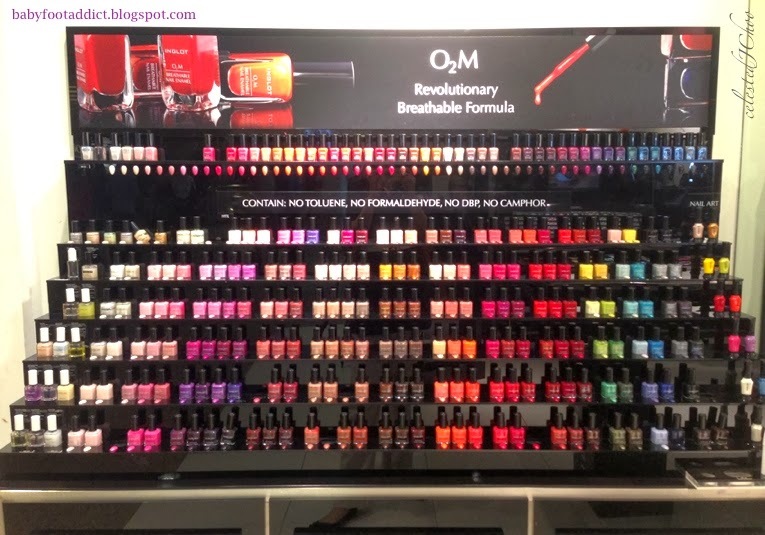 The nail color collection is beautifully displayed in such a way that you can see all the colors popping in one glance. No need to rotate the fixture, no need to stand close and look down. Gorgeous and effective display that makes me want to grab them all and have a wall display in my own room like this. 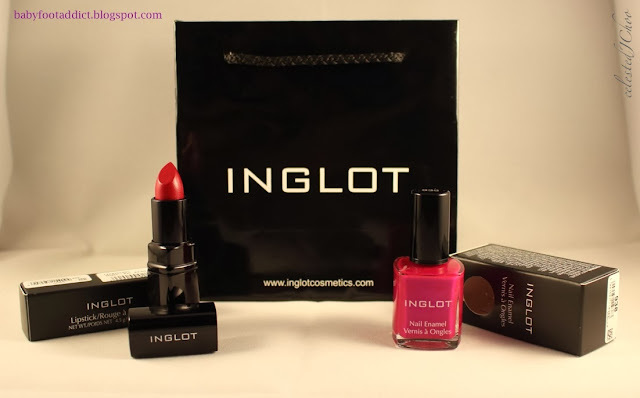 Inglot nail polishes contain no toluene, no formaldehyde, no DBP (dibutyl phthalate), no camphor. A poster on top of the nail display announces O2M Revolutionary Breathable Formula, which is totally new to me. The sales assistant explained that this type of nail polish allows oxygen and moisture pass through! 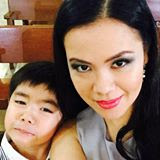 Mr. Wojciech Inglot developed this product to improve nail health. 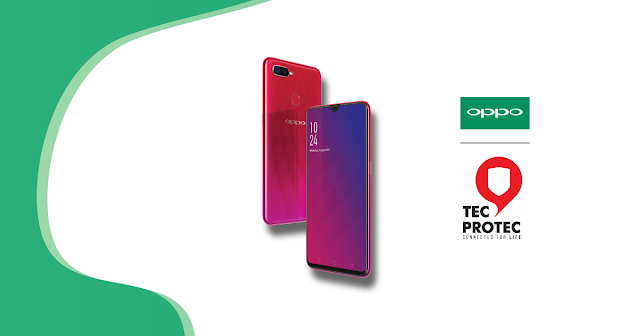 According to reports, the O2M nail polish has become very popular among Muslims because of its porous properties that make it acceptable to wear even during prayers. 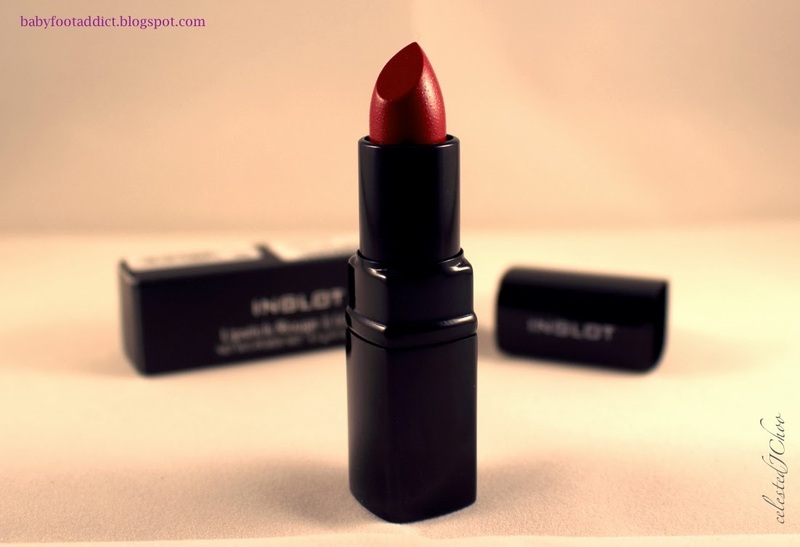 Inglot has recently announced that their product is ‘Halal certified’. Among all the eye-popping colors, I picked this one in red-pink shade. 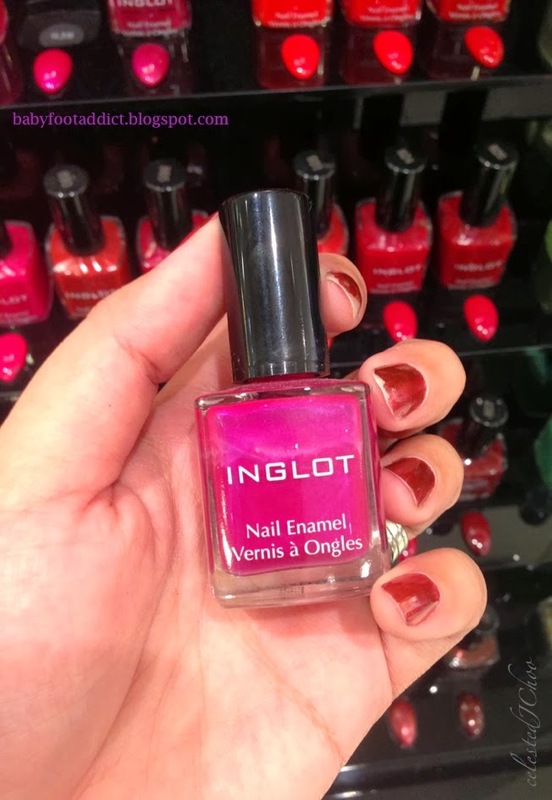 I know its tempting to grab several polishes but this is my first time to try Inglot nail enamel so I have to do some test drive before I ‘indulge’. I was also looking for a glamorous red matte lipstick and this vast display was very irresistible. 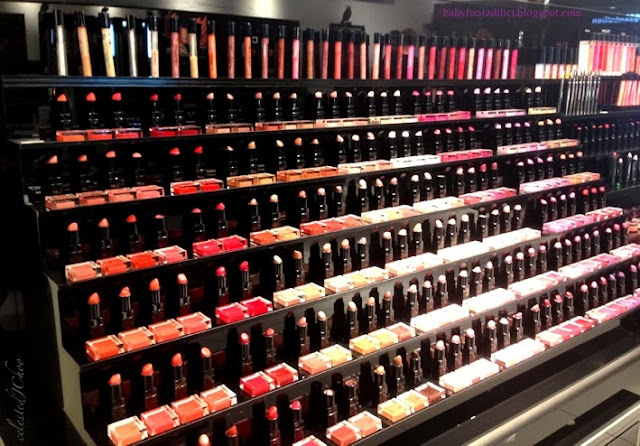 Like the nail color display, the lip color collection display also allows you to see all the shades in one glance. To help you in choosing, there are also square swatches of colors in acrylic placed in front of each shade. I'll be test-driving these Inglot items and share my thoughts and experience with you soon!